How to Convert FLV to MKV with FLV to MKV Converter? 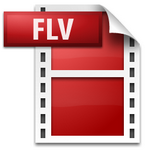 To convert FLV to MKV, you need to make use of a FLV to MKV converter. If you are lost in the vast sea of video converters, the post will be the right place for you to learn how to convert FLV to MKV with the right FLV to MKV converter. What is FLV? Where can you get FLV file? Standing for Flash Video, a file with the FLV file extension is a file that uses Adobe Flash Player or Adobe Air to transmit video/audio over the internet. Flash video is the standard video format used by nearly all embedded video on the Internet including the videos found on YouTube, Hulu, and many websites. As videos found on many video-sharing sites are in FLV format, you can get FLV file by means of downloading videos from video-sharing sites like YouTube. To download videos online, you can use video downloading software like Leawo Video Downloader. Full named as Matroska Video files, MKV files are not an audio or video compression format. In reality, MKV files are actually multimedia container formats. This essentially means that it is a container that can incorporate audio, video, and subtitles into a single file even if they use a different type of encoding. MKV container files were designed to be future proof, meaning that the files would not become outdated. 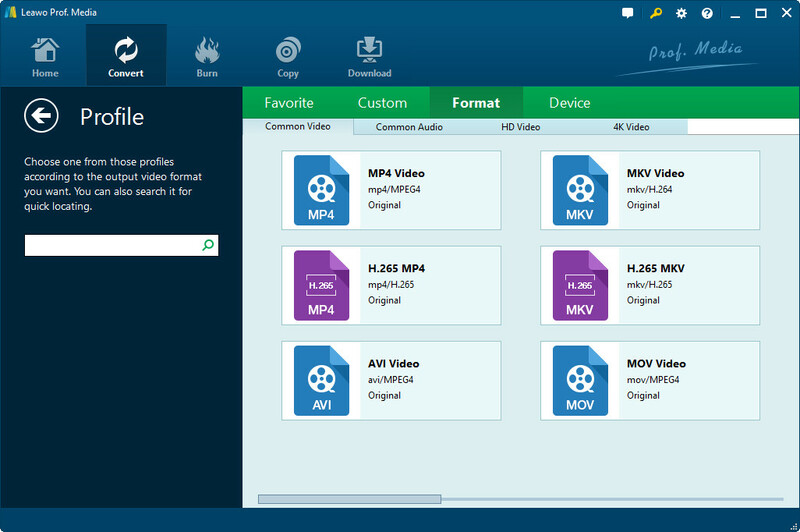 To convert FLV files to MKV format, there’re a ton of FLV to MKV video converters that could be used, but the best choice is undoubtedly Leawo Video Converter, a widely known and top-rated media converter that could handle almost all kinds of video and audio conversions on PC. Performing as a professional FLV to MKV video converter, Leawo Video Converter offers you ultimate solution for converting FLV to MKV format while keeping the original video and audio track and quality easily. You could follow the below steps to learn how to convert FLV to MKV on PC. Before you start to convert FLV to MKV, make sure you computer is installed with Leawo Video Converter. If not, click the icon below to download and install. Mac users should switch to its Mac counterpart – Leawo Video Converter for Mac. Run Leawo Video Converter on your Win computer to enter the main interface of the program, switch to “Convert” tab, and click “Add Video” icon on the top bar of the software to import source FLV video file. Open the drop-down box right before the big green “Convert” button and then click the “Change” button to enter the “Profile” panel, where you could select a proper profile as output format. 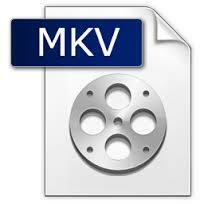 To convert FLV to MKV video, you need to select “MKV” as output format from “Format” groups. 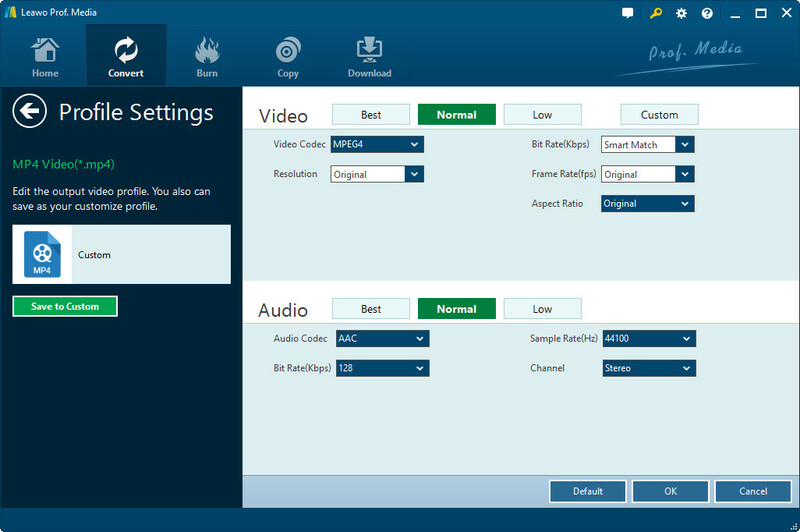 On the same drop-down box, by clicking the “Edit” option, you could enter the “Profile Settings” interface to adjust video and audio parameters of selected output profile, including: Video Codec, Quality, Video Size, Bit Rate, Frame Rate, Aspect Ratio as well as Audio Codec, Quality, Bit Rate, Sample Rate, Channels, etc. Click on the big green “Convert” button on main interface to pop up a sidebar. On the popup sidebar, set a directory to save the output MKV video file in the “Save to” box. Then click the bottom “Convert” button on the sidebar to start to convert FLV to MKV. Online-Convert makes the available conversion options immediately apparent, providing a slew of tools for converting video, audio, images, documents, ebooks, and other files. The video component of the site houses options for converting files to FLV, MP4, MOV, and more than 20 other popular formats, with additional options for changing the screen size, audio quality, bitrate, and other making other minor adjustments. Furthermore, you can use the search function in the top-right corner of the page to quickly check if Online-Convert is capable of making your desire conversion. If it’s not, the developers invite you to write in with conversion suggestions they may be able to implement in the future. After conversion, you can get the MKV files on the output directory, and then you can start to play MKV files via MKV media player software. Download and install VLC media player to associate your MKV file. To associate MKV files with VLC, you can right-click on one of them, click Properties, and then the Change button on the General page to switch out the default application. Find VLC media player in the list, and select it. Once you have set the file association, simply double-click on the file, and watch the video play with VLC media player. 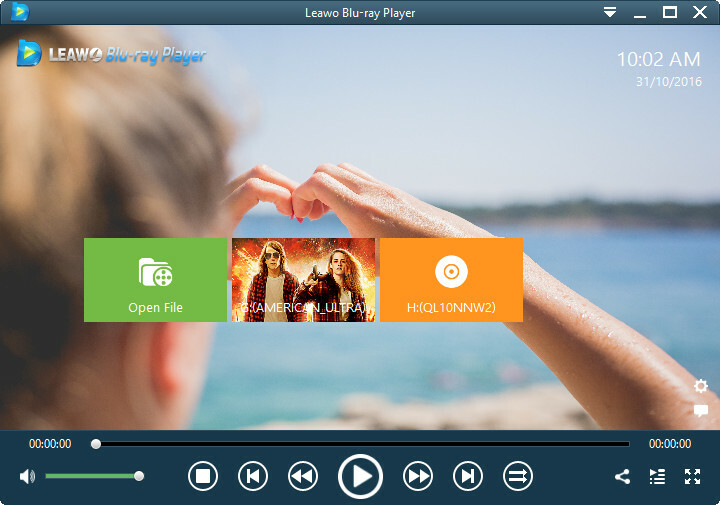 Launch Leawo Blu-ray Player to enter the main interface of player program where you shall click “Open File” to load source MKV video file. After the loading of source MKV video file, you can watch MKV video at ease.